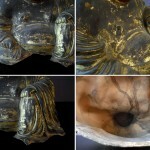 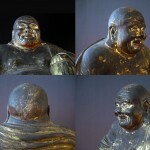 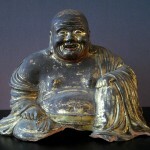 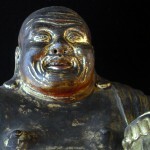 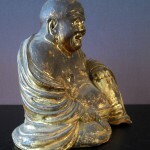 Extremely rare Happy Buddha (“Lucky Buddha”) from great shape with an expressive face full of live and character. 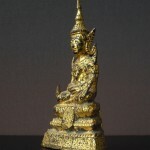 Condition: used, gold missing, some parts of the base area missing – but still a impressive piece! 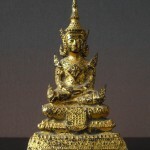 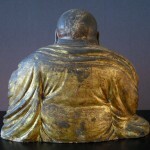 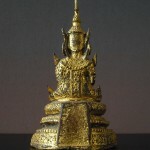 Gilded bronze Buddha seated in the half-lotus posture, signifying meditation, with both hands in his lap. 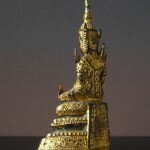 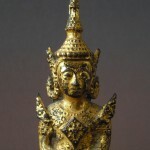 Thailand, Rattanakosin Period, 19th century. 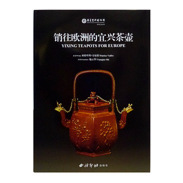 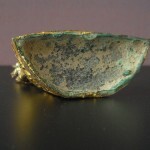 Very good condition – only some gold lost in couse of use.